Today Is Martin Luther King Day. Do You Know Why? Martin Luther King, Jr. was born on January 15, 1929 in Atlanta, Georgia. His birth name was actually Michael Luther King, Jr. but in 1935 his father, Rev. 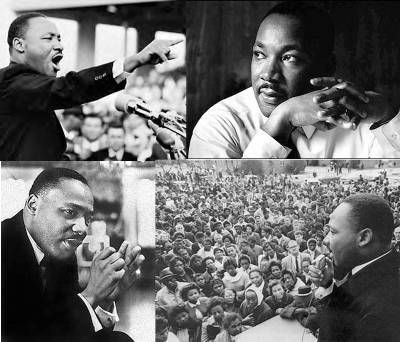 Martin Luther King, Sr. changed both their names Martin; in honor of Martin Luther, the German monk and theologian who is often credited for founding the Protestant Church. MLK, Jr. was incredibly smart. He skipped his high school years, and entered Moorehouse College at the age of 15; and never formally graduated from High School. The push for a formal day to recognize the nonviolent leader began shortly after he was assassinated on April 4, 1968. Fifteen years after his death, President Ronald Reagan signed the holiday into law (although he didn’t really want to); the holiday was not officially observed until 1986. Martin Luther King Jr. Day was founded as a holiday promoted by labor unions in contract negotiations. After King’s death, Rep. John Conyers (D-Michigan) introduced a bill in Congress to make King’s birthday a national holiday, highlighting King’s activism on behalf of trade unionists. – Rev. Martin Luther King, Jr.
next post: Heath Ledger Is Dead!! 48 queries in 2.837 seconds.